Hotel Saravana bhavan is one of my favourite food joints in Chennai to eat vegetarian food. 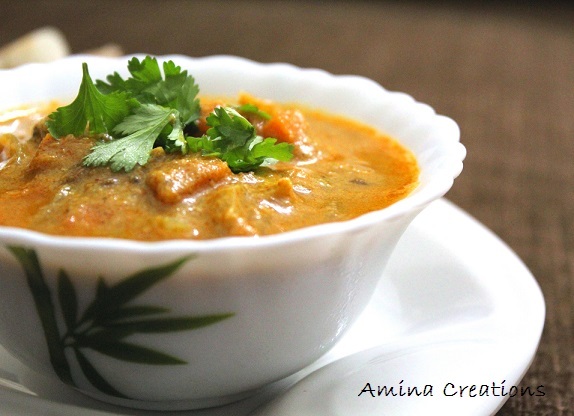 I personally like their sambar and vegetable khurma, and have been planning to make these two at home. 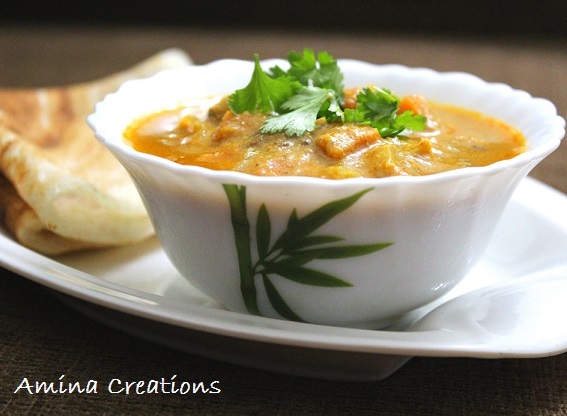 Today I tried making vegetable khurma and it came out so good and tasted similar to the restaurant style Vegetable khurma. The main ingredients which make this vegetable khurma stand out are poppy seeds, green chilies and a combination of curd and milk. Do try out the recipe. I am sure you will like it. Grind all the ingredients in the “To grind” section to a smooth paste and keep ready. Heat oil in a pressure cooker and add onions and cumin seeds. When the cumin seeds have sputtered and onions have turned golden, add ginger and garlic paste and sauté till the raw smell goes. Next add red chili powder, salt, turmeric powder and garam masala powder and mix well. Cook for a couple of minutes in low flame and add the ground paste to it. Mix well and cook in low flame for about 5 minutes till the raw smell of tomatoes has gone. Next add curd, coriander and mint leaves and water and close the lid of the cooker. Pressure cook for 1 or 2 whistles. Now add milk, check for taste and add salt or red chilli powder if necessary and bring the gravy to a boil. Cook for a few minutes till you get a thick gravy. 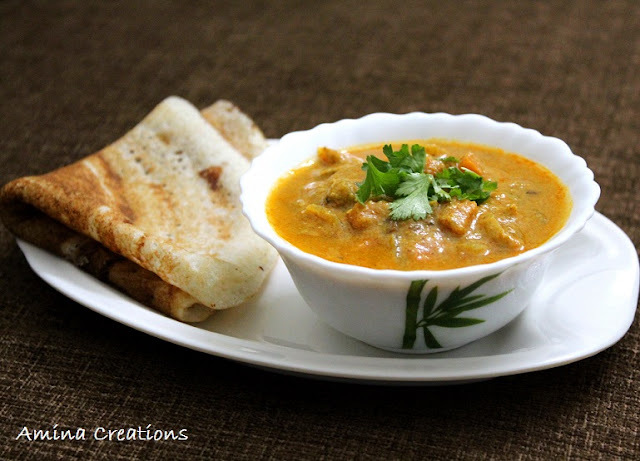 Serve hot with chapathi, dosa or paratha.